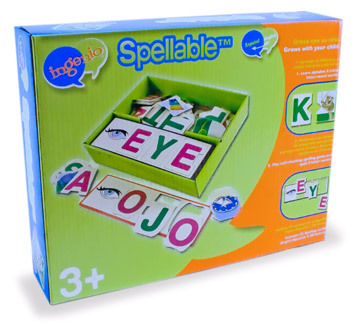 A fun new puzzle game to learn the alphabet and spell 3 letter words! 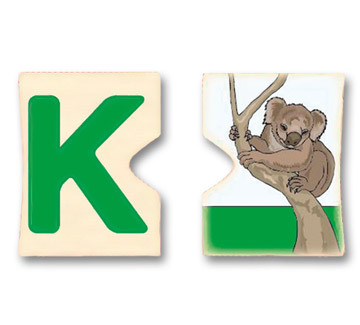 Learn the alphabet & beginning sound words. Play self-checking spelling game and learn to spell 3 letter words in English/Spanish. 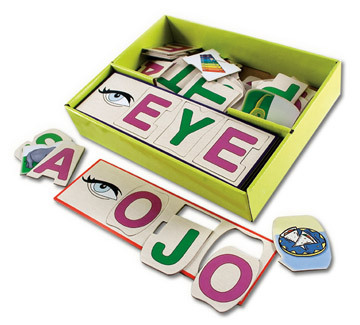 Includes 22 Spelling cards (English/Spanish) & 68 letters.